I have tried to summarize a list of things and features that I use and love for blogging and around the home. Hopefully this will save you some research and time. Domain Names: B & I have always registered domain names with GoDaddy and would recommend them in a heart beat. Web Host: Again it is GoDaddy to the rescue. For this blog, I have only used them. Yes we do have occasional hiccups like any other web hosts but every time their stellar customer support has come through. 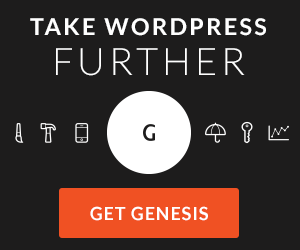 Blogging Platform: Hands down WordPress! I’m more than happy with them. I’ve heard a lot of other bloggers that started on different platforms switch to WordPress later on. So save yourself the trouble and start on WordPress. Themes: When I began blogging I used the free Pilcrow theme but mid last year I switched to Genesis Framework from StudioPress.com with the Blissful Child Theme. Love the added functionality and the layout features. The switch also makes updating to newer WordPress or theme versions a breeze. With the free theme whenever I updated to the new version any code changes that I had made prior would get erased. With a customizable theme all my code changes stay intact even after upgrades. Yes, you have to shell out some $ for the framework and theme but it is well worth it. Camera: I love my Nikon D3100 DSLR with the Nikon 18-105mm f/3.5-5.6 AF-S DX VR ED Nikkor Lens . Camera Accessories: Can’t live without my Transcend 32 GB Class 10 SDHC Flash Memory Card . The David Busch’s Nikon D3100 Guide to DSLR Photography has been a great help in learning the basics. True to what others have said, if you are visual learner then this course is for you! They have videos and show you “what if” scenarios for every aspect of the manual mode. Paint Colors in My Home: This post covers most of the rooms. I will be updating as I paint more. Favorite Stores for Home Decor: HomeGoods tops the list; you can read about my HomeGoods addiction and a list of my other go-to stores here. Fabric Stores: JoAnn’s, Mary Jo’s, Fabric.com, Onlinefabricstore.net, and of course Spoonflower. New Home Buying Tips: A recap of all the posts in this category is here.